In July 2014, beloved family cat Bandido went missing from his home. His devastated family searched far and wide, but he was nowhere to be found. Not knowing where he was or if he was safe, Bandido’s family experienced months of anguish following his disappearance. “We love him dearly. We were so sad when he went missing. It was heartbreaking knowing that we lost him,” said Bandido’s owner, Andrea. Bandido’s family never gave up searching for their precious boy, but as the months went by, they were faced with the heartbreaking prospect of never seeing him again. “It was always in the back of my mind. I kept thinking that wherever he was, someone was looking after him,” said Andrea. In June this year – almost a year after he had gone missing – Bandido came into the care of The Lost Dogs’ Home after being picked up by a local council. He was found approximately 13km away from his home. Bandido was scanned for a microchip, and thankfully, one was found. 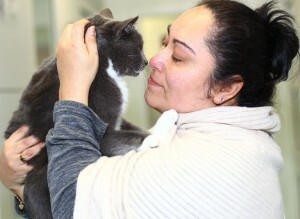 When Andrea received the phone call saying that her cat had made his way to The Lost Dogs’ Home, she was beside herself. “I was shocked. I couldn’t believe it, that after nearly a year [Bandido] was found. I was pretty surprised,” she said. The next day, Andrea and her family travelled to the Home for the reunion that they had always hoped for, but never imagined would happen. Wiping away tears, Andrea expressed her family’s joy. “We’re very excited that we’ve found Bandido after nearly a year missing. I’m so ecstatic that he’s home,” she said. 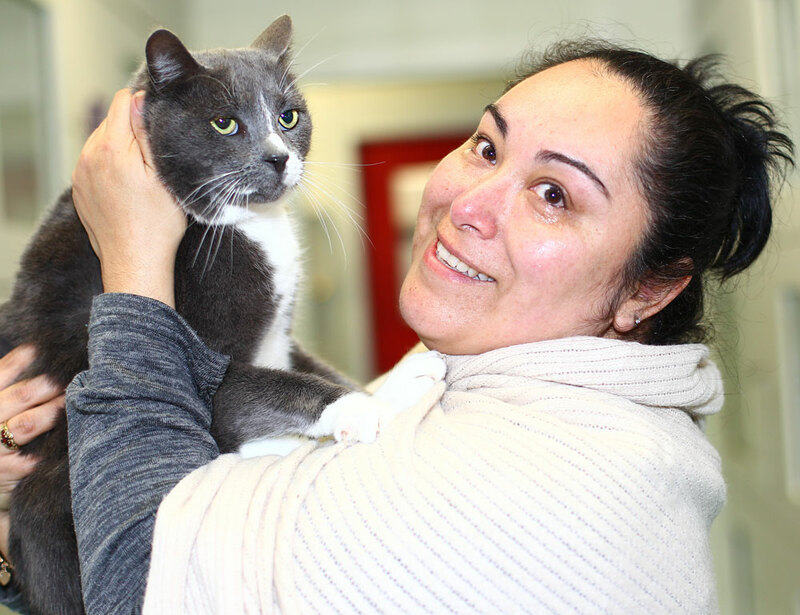 There was not a dry eye in the room when Bandido was finally reunited with his family. They showered him with pats, hugs and kisses. VIDEO: Watch the heart-warming reunion here. Andrea could not even begin to express how relieved she was that she had made the decision to have Bandido microchipped. “I’m so grateful that I did what I did, [for Bandido] to be microchipped. Just in the future, you never know what could happen, and look at us now – nearly 12 months later, we got him back,” she said.